Lady Sylvia Marsh: Oh, God, Kevin, you do have *appalling* B.O.! Save your breath... you've halitosis, too! Q: What does the ending mean? I've now seen Ken Russell's adaptation of Bram Stoker's story about half a dozen times, each at different points in my life. This is one of those few movies that seems to age very well and get better with each viewing. Never a big fan of Russell, his over the top visual style seems right at home in this sometimes campy, sometimes scary, always entertaining horror film. But what makes this film stand far above others in its genre is the fact that it is in actuality a wicked black comedy. Every time I see it i pick up on something new that is in the background of a scene or some piece of dialogue I previously overlooked and I burst out laughing. 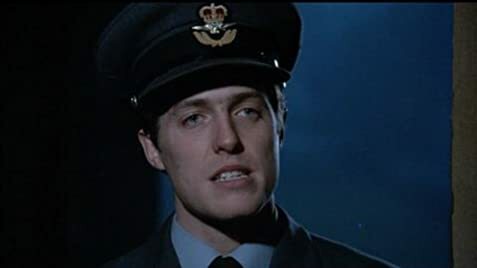 The film features probably the single best line of any movie ever made, delivered with dead-pan foppishness by a not-yet famous Hugh Grant. "I believe we probably have another reptile on the premises." Watch it and you'll understand why it's so funny. It's all about context. While some may find many flaws in this production, I recommend just going with the flow and trusting Russel and his cast, who all also seem to be in on the joke. 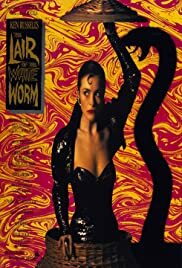 Amanda Donohoe as the evil serpentine priestess and Stratford Johns as Hugh Grant's butler are particularly on target with every line delivered. I'm going out on a limb and giving this a 10/10. In actuality it probably deserves and 8/10 at best. But it is one of my personal faves and seems to age like a fine wine. 74 of 83 people found this review helpful. Was this review helpful to you?